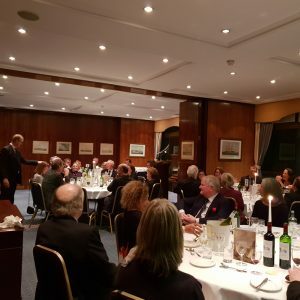 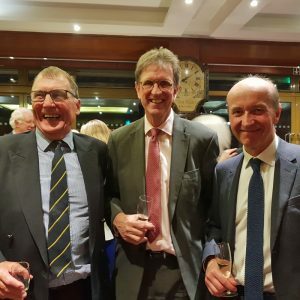 After a productive and swift AGM helmed by Chairman, Julia Bailey everyone gathered in the top room of the Royal Thames Yacht Club for the annual dinner. 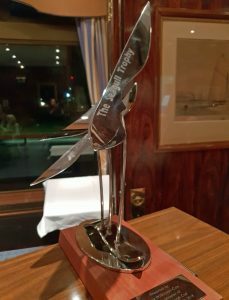 First on the menu was the Citron Trophy, traditionally presented each year at the dinner to the Dragon with the best cumulative performance at BDA events in the preceding year. 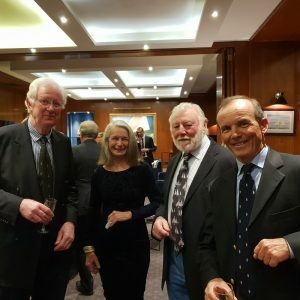 After a successful season on the water and claiming their second year as Edinburgh Cup champions, the 2018 award went to Graham and Julia Bailey in Aimee. 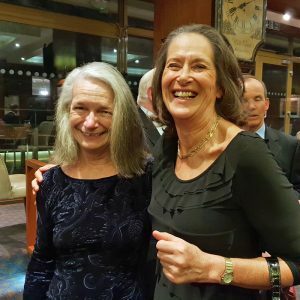 Also during dinner guests were held captive by the news and sight of a new and exciting Dragon trophy. 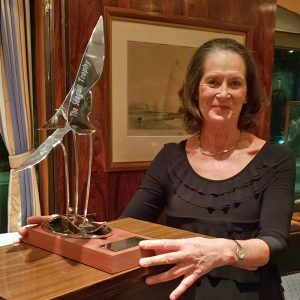 At the 2018 Edinburgh Cup, the 70th edition of the annual national Dragon championships held at the Royal Torbay Yacht Club (RTYC), Gavia Wilkinson-Cox announced that she wanted to present a trophy that would give an added edge to the competition of Dragon racing. 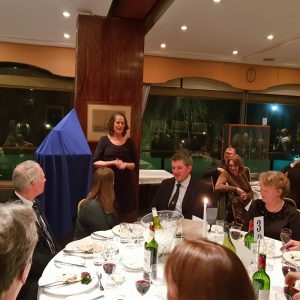 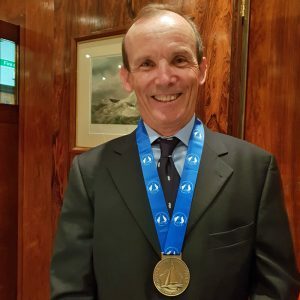 Gavia started her sailing journey at the RTYC and on the occasion of the 70th Edinburgh Cup at the same club it was announced that a brand new trophy would be competed for by a lady corinthian helm, annually at the Edinburgh Cup. 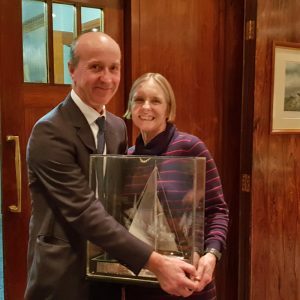 Unveiled at the dinner, the beautiful Seagull Trophy has very kindly been donated by Gavia to the BDA for future prosperity of the class.